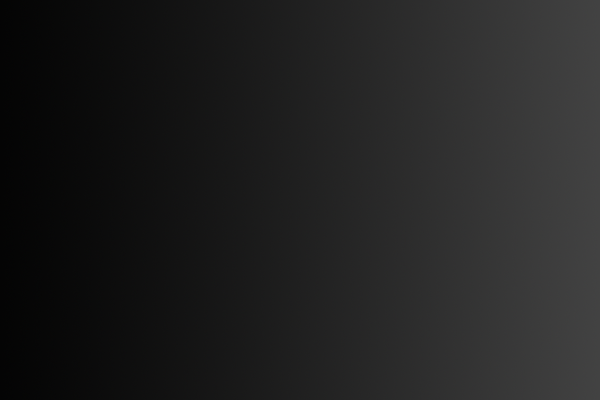 Home » Posts tagged "Black History"
Topics: Protests and health reform debates in Idaho; Black History Month 2017. People: Bill, Sarah, and De Ana. Produced: Feb 14th, 2017. The morning the news broke about the massacre in Emmanuel African Methodist Episcopal, I was driving. Having been unemployed since early April I’d tried to make my money by ridesharing. I found it difficult and I never was able to make the ends solidly meet, but made more than I would have on unemployment. Like most mornings, I did my best to be awake and alert at five a.m. in order to catch rides to the airport. Like most mornings, I made my own coffee and turned on NPR. These activities always made me feel more in control, more put together, better at adulting. I heard the news shortly before my first ride, and I was numb. The song is about finding love, but I clung to the emotion of darkness. I felt like we were truly at war with white supremacy. People are gone and we’re so alone here. If you asked me about that hour, I couldn’t tell you anything. All I remember was feeling cold; totally focused on moving forward with the sky full of blushing peach tones of the rising sun. I felt alert, yet dead, completely hollowed out, filling myself with this song. I spent the later half of that day and the entire next day inside, crying, on the couch repeatedly asking ‘why’. And: Where are we allowed to be human? Where can we feel safe from slaughter? I didn’t listen to it again for 11 weeks. Now it makes me cry. It makes me feel despair. If I can get through a listen without tears I feel strong. Today I felt, for one of the few times in my life, like I finally had nothing left to say on a huge story in the news. The Charleston AME church shooting in this case. I’ve written post after post after post on White America’s violence against Black America. I’ve written post after post on violent ideologies versus mental illness. I’ve written post after post on gun control and mass shootings. I’ve written post after post on Confederate apologism. I literally don’t know what else to say at this point. This happens so often — even just in the last couple years — and the facts are so similar that there’s no new ground to cover. Whatever I’d write on it would be hollow and a waste of space. This isn’t a mysterious and inexplicable tragedy. It’s just the latest act of terrorism in a vast pattern that seems like it won’t end. At this point I’ll direct everyone to Black authors and social media commentators. Anything they have to say is almost certainly going to be more worth hearing than anything new I could come up with. If you don’t know where to start, I’ll point you toward our columnist De Ana. Beyond her own tweets, her Twitter stream will give you a jumping off point to other voices you should hear. Black Wall Street: We did it by ourselves and were punished. When Black people and other People of Color speak out about the lack of representation for them in any medium there is usually a lot of pushback. Replies range from pointing to the one example of non-White representation they can find, to the more extreme and exclusionary “If you want to be represented, make it yourself!” The latter is an interesting piece of advice, but it’s entirely too simple. Moreover, it ignores the fact that Black people have for many years have been doing just that, only to then be punished for it. Throughout history, in instances where Black people in the U.S. tried to make their own place in society, they were met with extreme opposition. In Memphis TN in 1889, because the success of his grocery store was taking Black customers away from the competing White-owned grocery across the street, Thomas Moss was lynched. In 1923, the town of Rosewood FL, a primarily Black town, was destroyed after a rumor was spread that the town was housing an escaped Black prisoner. In both cases, and in many other instances of lynchings or any attack on Black communities, the Black victims were attacked because White people were uncomfortable with the idea of Black Success — or even Black Self-Esteem and Assuredness. The bombing of Black Wall Street (otherwise known as the Tulsa Race Riot) is a textbook example of the results of this discomfort. In the early 1900s, the city of Tulsa began to grow at a rapid pace. By 1921, just after the first world war, the city was already going through its second oil boom. Then, predictably, in May 1921, there was a crime reported. A young White woman was assaulted, and the assailant was said to be a young Black man. The young man under suspicion was arrested and, shortly after the rumors of the events spread, a mob of angry and armed white men decided to take matters into their own hands. They were met by a counter-mob, of Black men, and then the confrontation escalated when shooting broke out. By the next morning, on June 1, Greenwood had been burned almost to the ground, and up to 300 people were killed. Residents even reported that planes had gone over the neighborhood and dropped crude bombs on businesses and residential buildings. Troops were deployed to try to restore order, but it was too late. The destruction left many of the residents homeless and living in tents for almost a year. There is a lot of speculation on what the actual motivation behind the attack was. Although it was initially stated that it was because of the alleged (and later dismissed) attack of the young White woman, there was already high racial tension before then. 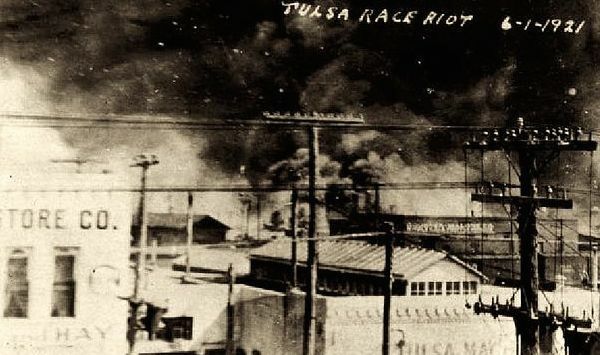 White residents’ membership in The Ku Klux Klan had grown rapidly in the few years before the attack, and many of the White people in the Tulsa neighborhoods just outside of Greenwood were poor. Seeing the neighborhood just next door doing so well probably made the already existing tension even worse. The initial accusation of an assault on a White woman by a Black man was a common trope in, and racist excuse for, lynchings or attacks on Black neighborhoods that were doing well economically in the South. Whatever the motives behind the attack were, this is still a horrendous moment in U.S. history. Although the neighborhood was able to eventually rebuild itself over the next five years, it still goes to show that even when Black people are able to build their own communities, there is still the threat of people on the outside destroying everything. Maybe instead of the emphasis just being on Black people “making their own” there could be an equal emphasis placed on others not destroying what we do make. If you’ve been on Facebook for more than 5 minutes, you’ve probably come across one of two specific types of articles: the “Is Beyonce/Nicki Minaj/Rihanna a Feminist?” article — which criticizes those celebrities, usually for their scantily clad music video performances — or the “Why Lady Gaga/Miley Cyrus/Katy Perry is a Feminist icon” article — which lauds those celebrities, usually for their scantily clad music video performances. These two article types are very popular, especially after major award shows or the release of new music videos. But the thinly veiled racism behind who gets to be a Feminist Icon, and whose feminism gets questioned has been receiving a lot of pushback on other social media sites. Women of Color are especially vocal, pointing out that much of mainstream feminism ignores the intersections that race, class, sexual orientation and gender identity play in the lives of anyone other than White women. This fight isn’t new. In fact, Black women in the US have been talking about the intersection between race and gender for a very long time. One woman who was a very outspoken voice for the rights of Black women was Ida B. Wells, a writer, businesswoman, activist, and suffragette. 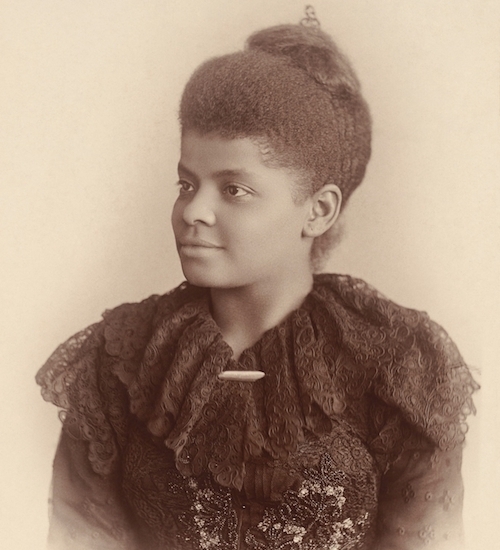 Ida B. Wells’ work is often framed around race, not just because she was such an outspoken anti-lynching advocate, but also because she was not afraid to speak against the racism she saw happening in the female-dominated Suffrage and Temperance movements for women’s voting rights and alcohol limit laws respectively. Wells was especially vocal about Frances Willard, a prominent figure of the Women’s Christian Temperance Union. Willard used racism to try and sway US Southerners towards Temperance and Suffrage. In order to gain Southern support Willard played to their fear of Black economic success, stating that liquor was at the center of it. Willard also claimed that liquor caused Blacks to be aggressive, which could endanger White women and children. At the time, Black men purportedly being dangerous and aggressive was the reason given for lynchings in the South, but after tireless research and personal experience, Well’s had already known that Black economic growth was one of the main reasons for the lynchings. Wells also knew that Black women as well as Black men were being lynched in the South. In 1893, while both Wells and Willard were on tour in Europe, trying to garner support for anti-lynching and Temperance respectively, Wells exposed Willard’s racism to Europeans who previously couldn’t believe Willard would do such a thing. This wasn’t the only time Wells had to deal with racism in women’s movements. In 1913 during the World Suffrage Parade, Black women were asked not to march in the parade with White Suffragettes because of fear it would set back progress Suffrage had made with Southern states. Instead, Black Suffragettes were asked to march after several other groups. Although many of the Black Suffragettes agreed to the segregated march, Wells did not. Wells initially was going to boycott the parade, but instead waited in the crowd and joined the parade after it started, making sure to join with the White Suffragettes. Although the idea of intersections in Feminism may seem new, in reality it isn’t. And although many will tell you that the relationship between major Feminist movements/activists and Women of Color has gotten better, it hasn’t. Wells was considered a “radical” in her time by bothering her contemporaries in issues of race and gender, many of whom disliked the way she fought for her causes — or the fact that she spoke up at all about the issues that she faced as a Black woman. Nowadays, with the rise of blogs and the internet generally, Black women are given far more access to spaces where they can speak about their issues with people who aren’t aware — and also with each other. The downside, of course, is that with this new access also comes new opposition. But despite all of that, Black women still speak out, just as Ida spoke out. As the NYPD turns its back on its elected government and unilaterally refuses to enforce the law, let’s look back at another mutinous, anti-democratic police force that refused to uphold the law — Mississippi’s secret police. 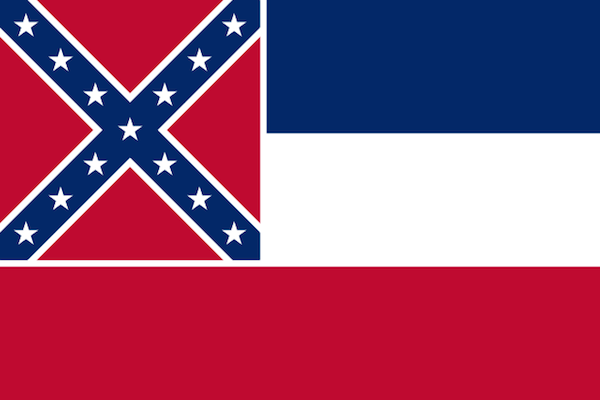 For nearly two decades following the 1954 U.S. Supreme Court’s Brown v. Board of Education ruling against school segregation, a secret state-level agency called the Mississippi State Sovereignty Commission conducted surveillance on “subversive individuals and organizations that advocate civil disobedience” – i.e. civil rights activists. 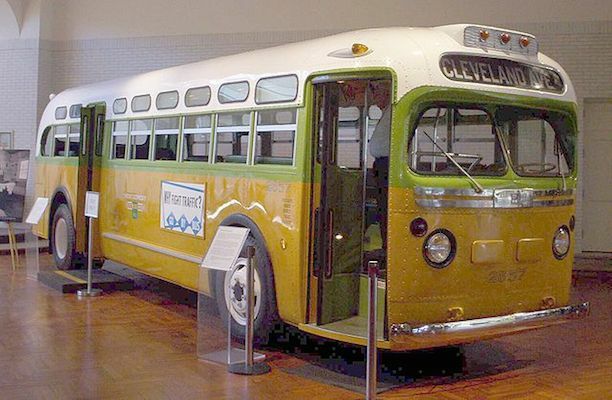 Their primary mission was to resist the implementation of Federal government orders and laws on desegregation in Mississippi. This included aiding county governments in preventing African-Americans from registering to vote. Worse, their surveillance efforts have also been linked to the infamous lynching murders of three civil rights workers in 1964. You can learn more about this secret police force from the Mississippi Department of Archives.